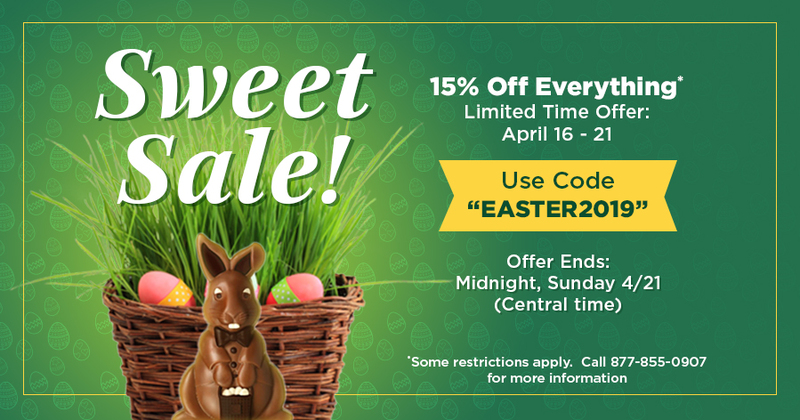 Use the coupon code "EASTER2019" in Shopping Cart. Coupon code is active until Midnight (Central Time), Sunday, April 21st. Offer only valid on purchases made online at www.prowinds.com or by phone 1-877-855-0907. Items are sold on first come, first serve basis. Coupon is not applicable on certain brands, select items, special orders, custom orders, prior purchases or gift certificates. If product already has a Pro Winds offered promotion (such as a Gift Card), you will receive the greater of the either the 15% deal or the advertised promotion. These offers cannot be combined. Manufacturer Rebates will still be honored in full. Call 1-877-855-0907 for details.